The intake for the B.Ed. (ODL) Program in the academic year 2019-20 is 500. 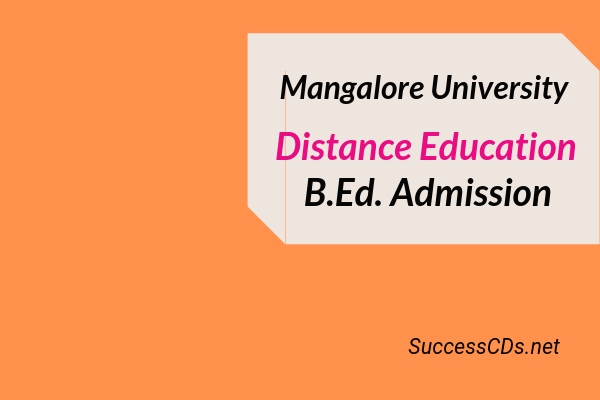 Application Forms and Prospectus may be obtained either in person from the office of the following on payment of Rs.1000/- (Application Fee Rs.200/-, Common Entrance Test Fee Rs.800/-) to the Account of Mangalore University in any one of the specified Nationalized banks through the challan.